We are so excited to be partnering with Vivint Smart Home! If you have followed our blog for awhile, you know how much family means to us. 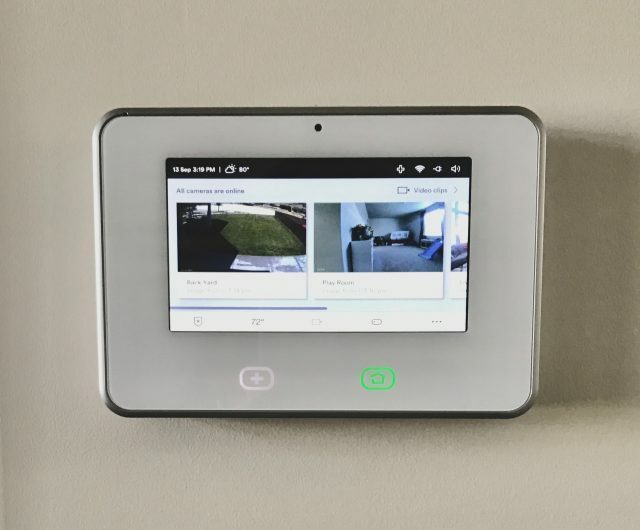 Now that I have a family of my own, I am constantly thinking about my family’s safety and keeping us connected, which is why Vivint Smart Home is such a perfect fit for us! 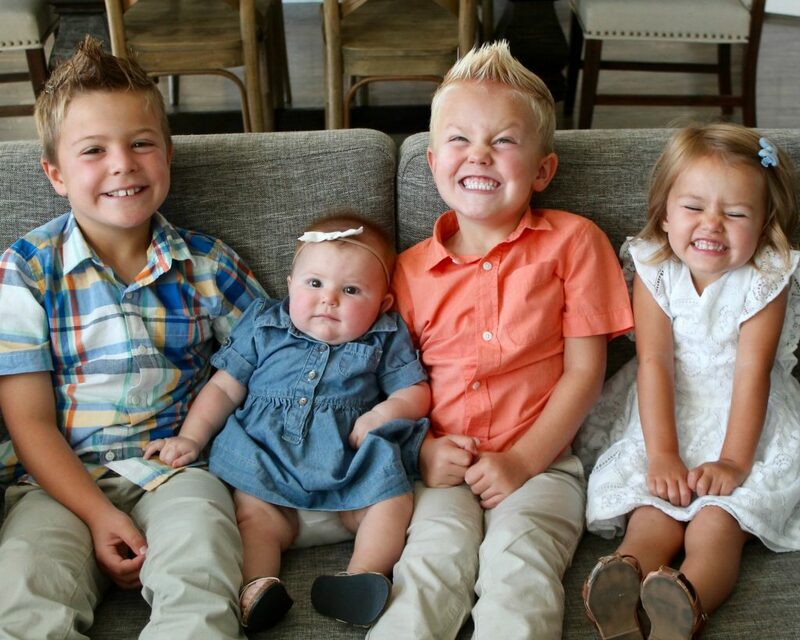 I mean, look at those faces. How could I not be obsessed with keeping them safe?! We only share products with you that we are passionate about, and Vivint Smart Home is one of them! 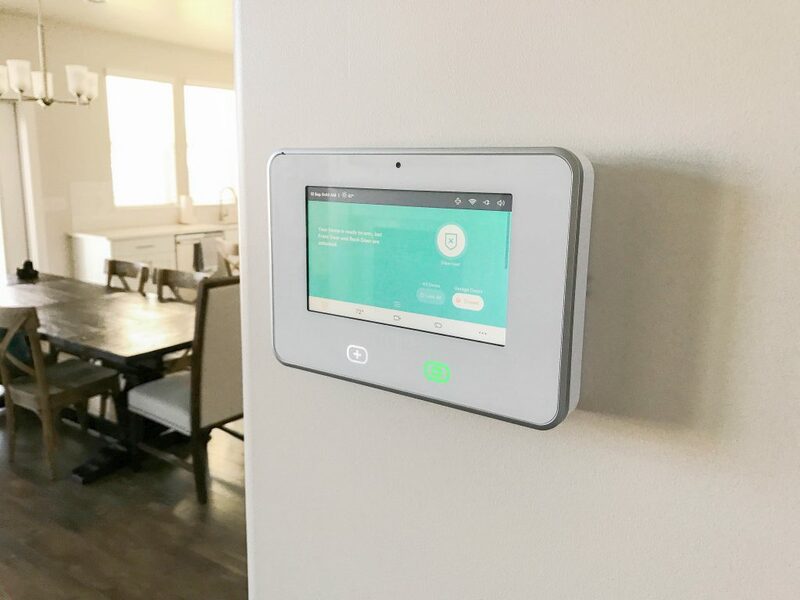 Since having our Vivint Smart Home System, we have saved money on our cooling/heating bill, felt safe and secure and can control so many elements of our home in the palm of our hand using the Vivint Smart Home App! CALL 855-404-2398 FOR A FREE QUOTE AND TO LEARN MORE ABOUT VIVINT SMART HOME! We have loved having a doorbell camera! Wether you are worried about people stealing packages right off your porch, strangers approaching your home or just being able to talk to visitors without having to get off the couch, this doorbell camera is for you! The Vivint Doorbell Camera has a 180-degrees wide angle lens so you get a clear view of your entire doorstep. I love getting a notification anytime someone rings my doorbell and that I can talk to them directly from my phone, even when I’m not home! The Vivint Doorbell Camera also records 24/7 continuous video for up to 30 days so you can playback footage you may have missed while you were away! What if I told you you could lock and unlock the doors of your home from your phone?! Good news! YOU CAN! The Smart Door Locks are completely secure and can notify you when your doors are left unlocked! I also love that if for some reason my kids were locked out of the house, they can type in our passcode and unlock the door without a key! My absolute favorite feature about the Smart Door Lock is that it is compatible with Amazon Echo! You no longer have to wander around a dark house locking all the doors before going to bed. Just tell Alexa to lock all the doors and in a matter of moments they are locked! Our monthly utility bill comes with a usage graph in comparison to our neighbors and for some reason our usage was through the roof (as was our bill at times)! In the first month that we had our Vivint Element Thermostat, we decreased our energy usage by 30%! 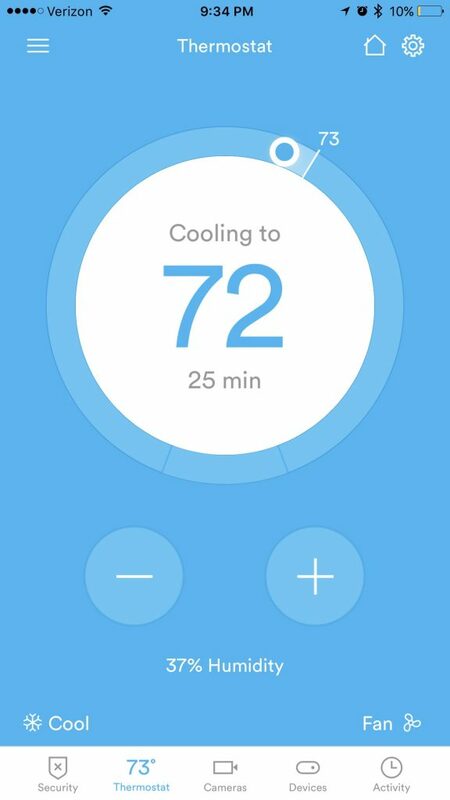 With the Vivint Element Thermostat, you can adjust climate controls from anywhere using the Vivint Smart Home App. You can also ask Alexa to adjust the temperature for you! Vivint Smart Home is also compatible with Nest Thermostats, so if you already have one you can easily include that in your system. A few months ago, there was a series of break-ins in our neighborhood where people were sneaking into people’s garages, stealing things and breaking into cars. My husband thought I was a little crazy, but I was freaking out. I can’t tell you how many times we have fallen asleep at night to wake up in the morning and realize we didn’t shut the garage doors! Now all I have to do is open up my Vivint Smart Home App and close my garage doors OR tell Alexa to do it for me! 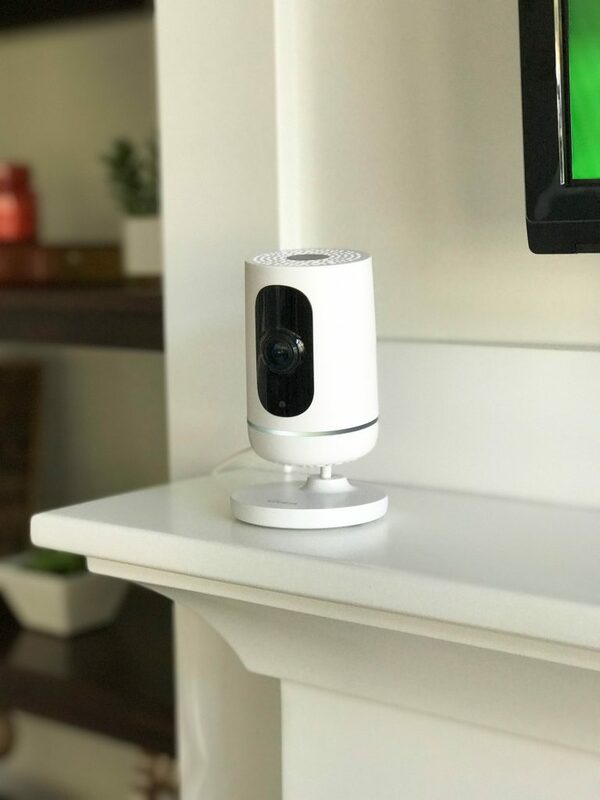 The Vivint Ping Camera is the first indoor camera that lets you call in and out with one touch. Two-way talk connects you directly to your family from your mobile device while youre out. You can make sure the kids started their homework, or they can contact you when theyre done! Our kids are constantly having friends over and I love being able to check in on them anytime or talk to them from anywhere! You can also use your Ping cameras as a motion-activated security camera and be alerted if an intruder is detected. I know I’ve already mentioned the Amazon Echo a few times, but it really is the item that ties our system together! We are constantly streaming music on our Amazon Echo and asking Alexa for info on traffic, weather, etc. The Amazon Echo can control our entire smart home including locks, lights, thermostat and more! 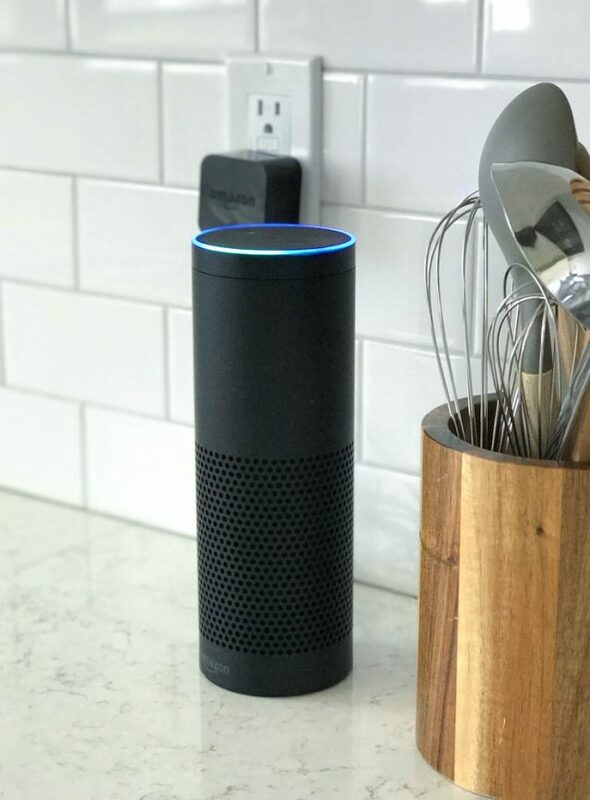 Alexa can even hear me from across the room and respond, even while music is playing! 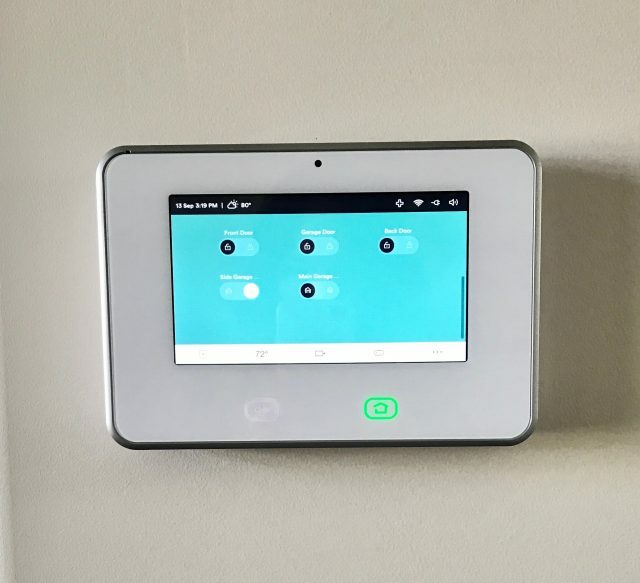 The Vivint SkyControl Panel makes it so easy to operate our whole system! We had our panel installed in our entryway hallway right by our dining and living rooms. I wish these pictures were better, but you can see that I can lock all of my doors and close my garage doors from the console. I can easily view all of the cameras on the panel, as well as speak through the indoor and doorbell cameras. The control panel has a backup battery that keeps your systems running when power goes out. If an emergency arises, you can use one of the panic buttons to sound the alarm and have instant communication with the security monitoring teams. We were recently went on a cruise received a notification all the way in the Caribbean that our fire alarm had been triggered! 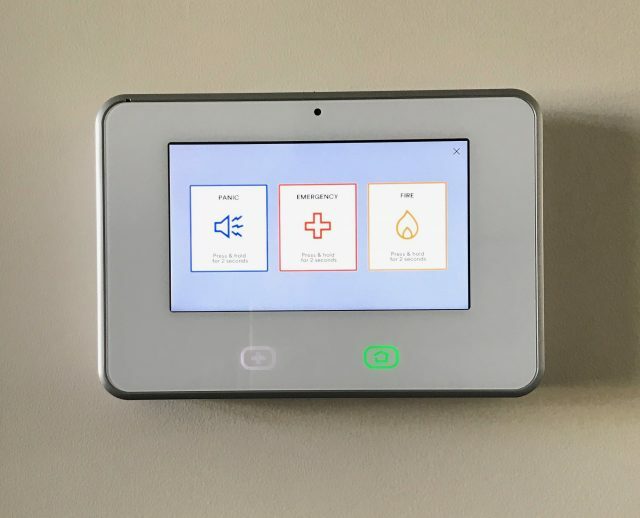 It turns out, my cute nephew had accidentally pressed the fire panic button on our control panel but it was amazing to see how quickly the Vivint team came to the rescue to help! 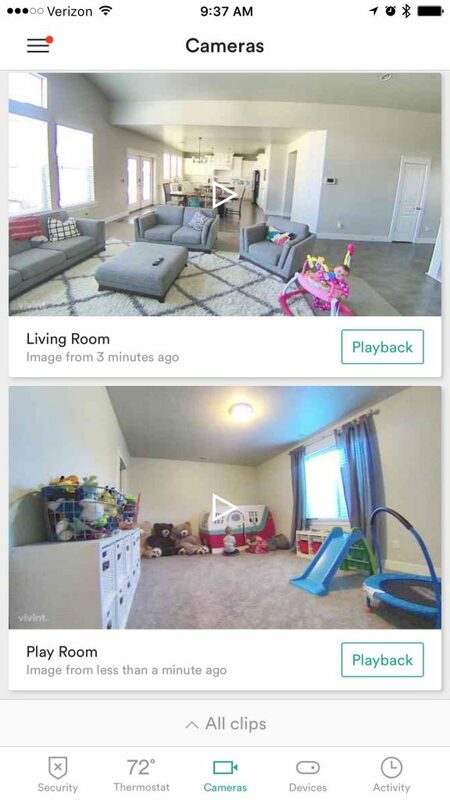 I love that you can customize your Vivint Smart Home System to meet your family’s needs. All of the systems are professionally installed so you don’t have to worry about doing it yourself! You can also rest assured that you are getting 24/7 monitoring so you can get the help you need anytime! You can call our designated customer service number (855-404-2398) to get a free quote on a Vivint Smart Home System! Vivint is giving Six Sisters’ readers $70 OFF ANY VIVINT SMART HOME PURCHASE! 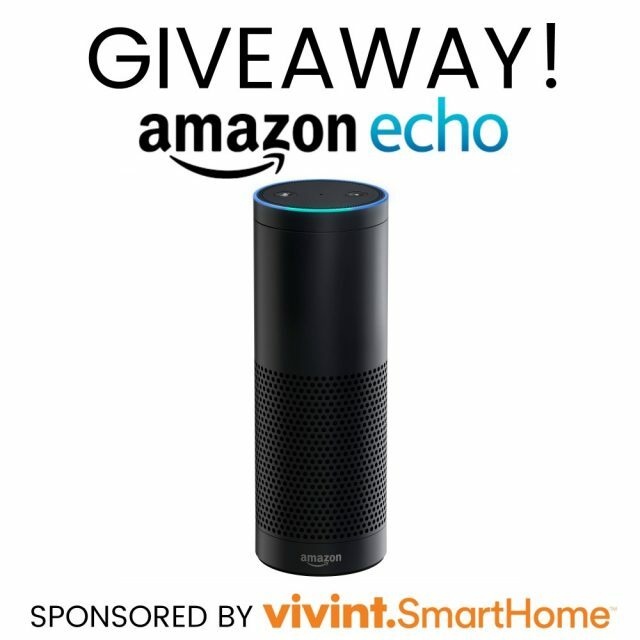 We are so excited about our Vivint Smart Home System that we are giving away an Amazon Echo to help you get your Vivint Smart Home started! Enter by leaving a comment below telling us what Vivint Smart Home feature you would love to have the most! I would love to have the vivant element thermostat! We have the solar panels BUT would love a kickstart to their other features!!! I might be more inclined to refer others as well. The doorbell camera would be amazing. The whole home system is amazing. What a great security asset to any home. I would love the doorbell cam! Being able to lock or unlock doors with an app or by using amazon echo sounds great. I'm always worried I forgot to lock a door. I would love the ability to use my phone to secure my home. The doorbell camera would also be amazing! I really like the door bell and the locks on the doors. 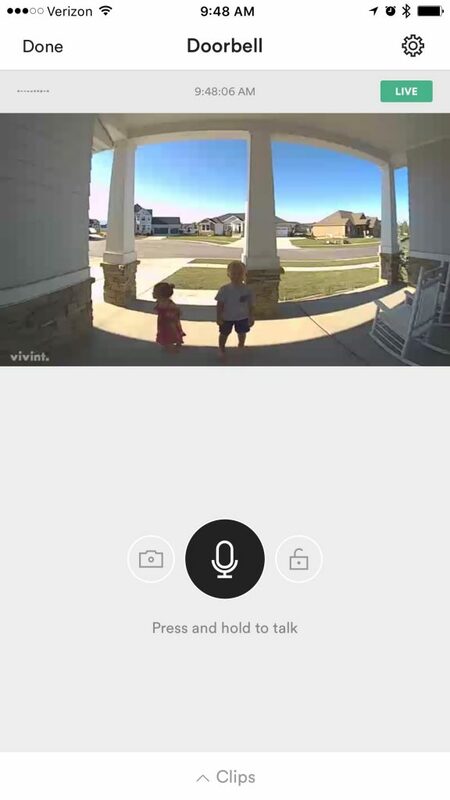 The doorbell camera is #1 on my Vivint wish list! I hate answering the door to the unknown! I would love to have the doorbell camera. We never know who is at the door and it would be nice to know before answering the door. Either the smart door lock or doorbell camera. Either would be amazing. My husband and I have been dying to get both. I love all of the items listed but the doorbell camera would be #1 on my list to try first :) the ping camera would be #2. Thank you for this offer! The sky control panel would be amazing. Doorbell also since I'm a stay at home homeschool mom, safety would be ideal. I've been eating the echo to help answer questions in school! I like that it communicates with the Amazon echo. And controlling features through your phone. Checking that the doors are locked and garage doors closed while away will give me serious peace of mind. Doorbell camera too! I would love the doorbell camera! Definitely the door bell camera. What a neat system! I love the doorbell camera. I hate how the kids go running to the door and it is scary now days. I would love the auto lock and garage door closer! My husband works nights and with three kids, this would help me sleep with less worry. Hey Shannon! YOU ARE THE WINNER! Email us at [email protected] with your mailing address and we will get your Amazon Echo sent out to you! Honestly I would love it all!! I would think getting the thermostat would be best!! I would love to be able to lock all my doors at once! I hate wondering around the house to make sure everything is locked. Or laying in bed and thinking if I locked the door. I think the thermostat would help a lot with our Florida heat! Thanks! So many awesome items but I'd have to say I'd love the doorbell camera the most. Our neighborhoods have been having packages stolen, random people walking by or hanging outside. I'd feel safer having a doorbell camera for sure. Either the smart door lock or doorbell camera! Both would be so handy! I'd love all the features but the door lock would be awesome! Doorbell camera and ping camera! I would love the doorbell! I've seen them before, and they are so neat! I would love the doorbell camera. Love to see who's at the door when I'm not there! Wow!! I'd love any of these. I had no idea these existed. So cool. I think my favorite would be the garage door opener. I can't count the number of times I have driven out of the driveway and had to turn around because I couldn't remember if I had shut our garage door. It all looks great and I just saw Vivint on Undercover Boss! I think I'd most like the door lock because I'm constantly worried I forgot to lock the house! I didn't realize this stuff was even an option but wow checking that the doors are locked and garage doors closed while away would give me serious peace of mind. And even the doorbell camera too! I'd want it all. I wouod love be able to lock & unlock the front door from my phone! I love my Vivint alarm system! Next item on my listen is the doorbell camera. Such a cool feature! I would LOVE the smart locks!! The smart door lock. With little kids I'm always worried about them unlocking the door or making sure the door is locked to the outside world. All of it sounds amazing! I think my number one choice would be the doorbell with the camera. Such an amazing feature! I love the doorbell camera. My kids are always just opening the door before they know who's really there? So cool! My absolute favorite would be the ping camera. With 3 kids it would definitely come in handy! Oh my gosh I would love the lock thing or the doorbell camera. Living out on a ranch we get a little too comfortable and can't tell you how many times we leave without locking our doors, or go to bed etc, BUT we have been having so many break ins on the ranch that I'm so paranoid now, but my habit of not locking doors keeps me in a panic! Plus the doorbell thing. We love amazon prime and are constantly getting packages instead of driving 45 minutes to the store, so having an eye on our packages while not home would be awesome! My husband is always the last one in the car because he HAS to check all the door locks! This would be amazing peace of mind for him! Oh man, I would love that thermostat! My husband is so paranoid about the doors being locked. The car doors have to be locked in the garage. ? Being able to lock the doors from my phone would be a game changer! I would like the doorbell camera! That would be so awesome! I would love the door bell camera system! I want it all! The camera door bell and door locks are probably my favorite! It's hard to decide! I could use them all! If I have to choose I would probably choose the smart door lock! This is so great one second to lock all M yu doors and check the garage would save a few stubbed toes that is for sure! I would love to have any of the camera features. I can just imagine the peace of mind it would give me. I don't have anything that makes my home "smart" so this would be awesome to win. How can I possibly choose one feature! But if I had to choose one I would definitely choose the thermostat because I always forget to change the temperature before I leave the house but I love it all! So many to choose from. I love the thermostat feature, and the doorbell! Really all of it would be great! I love the thermostat feature and that everything can be controlled with Alexa or a phone! I'd love locking and unlocking the doors from my phone. And the thermostat. I would love a door bell camera! With a tiny baby it would be nice to know if it was just the Amazon package being dropped off or if I needed to answer the door! The doorbell camera!! Right now we don't have a way to see who's here and sometimes it worries me when I'm home alone with the kids. I LOVE the fact that I could lock all my doors/close garage doors from my bed!!! Lol! But seriously the camera on door bell seems amazing too! So hard to choose just one! I would start with the locks and doorbell camera! Then the indoor camera! I would really like the ping camera so my children have the ability to contact me easier. I like the doorbell camera! Recently the neighborhood kids have learned to 'ding ding door ditch'. This way I know not to stop working when it's one of them! Lol. And for security reasons as well. I would love the door bell camera or the door lock. 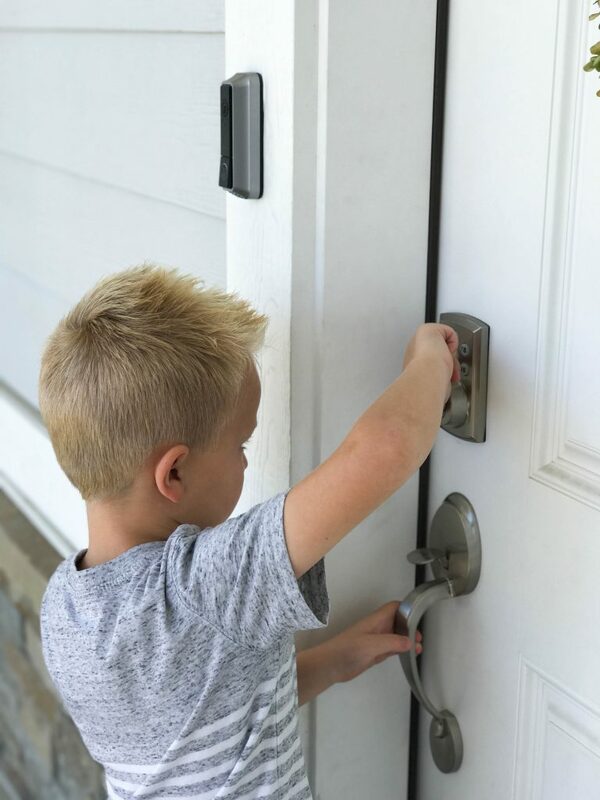 I love the Smart door lock and to be able to let the kids in the house if they get locked out. Ah!!! I would love the doorbell camera! There are so many creepers these days that I would love to see when my packages arrive (also while Alexa tells me when they arrive ?) I am with you, I just want to keep my 2 littlest safe! I love them all and have considered getting them but I would love the doorbell camera and notification on your phone. I hate answering the door so it would be nice to know if I actually needed to answer it ? The doorbell camera is a must!!! Although the key pad for my kids would be awesome too, since they always forget their keys!!! Not sure if I could pick just one feature...but if I had to, probably the security system, door lock features, etc. Such a neat system. I would love the door bell camera I think that is so cool and is smart so you can see who is at your door with out going to the door ? I would love a doorbell camera! I hate answering the door to people I don't know. It all sounds so great! The doorbell camera most appeals to me for now. The Smart Door Locks are awesome!! I'd love that feature!! I honestly would love everything! I feel I live in a pretty safe neighborhood but if I'm home I feel I need all doors locked and dead bolted! I would feel so much more at ease if I had something like this! When the day comes that we buy a house I am 100% going to look into vivint! The smart door lock would be very cool ? I would love to be able to have MTV kids help pick it the music and this would Be a great way to let us do that. The doorbell camera that's so helpful and honestly would make everyone's lives easier! I love that it's compatible with Alexa. I also love that you can lock all the doors at once or while you're away. I would love to have the Ping camera. We would like to start transitioning our kids to be able to stay home alone for an hour at a time to get used to longer periods and having that would be give us us both peace of mind! The doorbell would be great too as our windows are way at the top of the door and we can't see out. I would love the smart lock or doorbell camera! I'm constantly second guessing if I locked or closed doors, being able to open an app and check would definitely ease my mind! I woud so love a doorbell camera! My front door is all windows and I would love to know who was there before I walked out into the open ? I would LOVE to lower my energy bills. Thank you for posting this! I've never heard of this system and excited to look into it. Would love all of this really! I would I've the doorbell camera. I would love to have the thermostat or front door lock for our new build! Such cool products! Love everything! My favorite ithough sn't he doorbell camera. Sorry for all the typo's. Have a headache. I love it all but mostly the close the garage door/ lock doors.. I'm the paranoid mom that gets out of bed and walks around checkpoints by them all! ALL of the above. I can't choose just one! It sounds amazing! I would love to control my theromstat from my phone! I love the doorbell camera feature!! I would love to have the doorbell camera. I hate answering the door for strangers. A peep hole doesn't really cut it. We also get packages so it would be great to keep an eye on them of we are not home. Good luck with the cameras. We've had then and the door sensors for awhile now. The cameras never pick up someone in the yard but light changes from the sun. 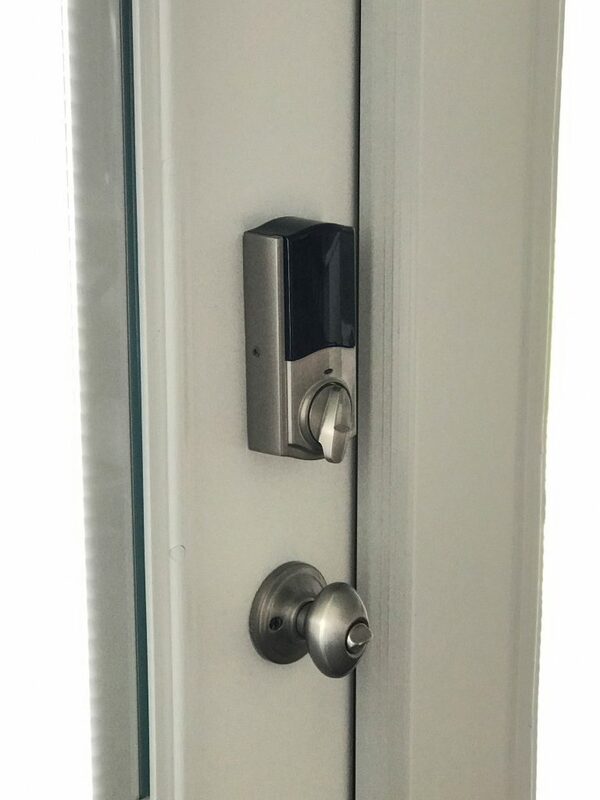 The door sensors constantly tell us our doors are open while we're home or away..... away presents the biggest problem because then you can't lock or unlock your house with the app... the electric door lock batteries only last a few weeks before it's less than 50% and the door lock doesn't function properly! The continues recording is only achieved through the space monkey which is i believe a 5 terabyte memory box.... don't get fooled! I would love the doorbell camera ? Desperately want the doorbell cam! I would love to be able to see that all my doors were closed and locked from my phone! Either the doorbell camera or the garage door control. I'm infamous with my kids for circling back around to our house to make sure I actually closed the garage. How can I choose just one?! All of it is absolutely amazing! The doorbell camera & being able to lock all of the doors both are at the top of my "wow" list!! I always have to double & triple check the doors at night & hattttte when I don't know who is at the door. Both features would make my life easier & less stressful! The Alexa sounds AMAZING too!! So fun!! Reading through your post, I want all of the Vivint Smart Home things! I'd love to have the echo (duh.. that's why I'm entering!) but I think I'd love the doorbell camera! I would love to have the vivant element thermostat! It would be life changing for me! The thermostat would be amazing! I like our house cool so if it helps with our bill, I'm sold!! ? I'd love to have the thermostat!!! We want a smart thermostat so bad! We'd love this one! I love that you can see whether or not the garage doors are closed and the doors are locked! And then close/lock them if they're not! 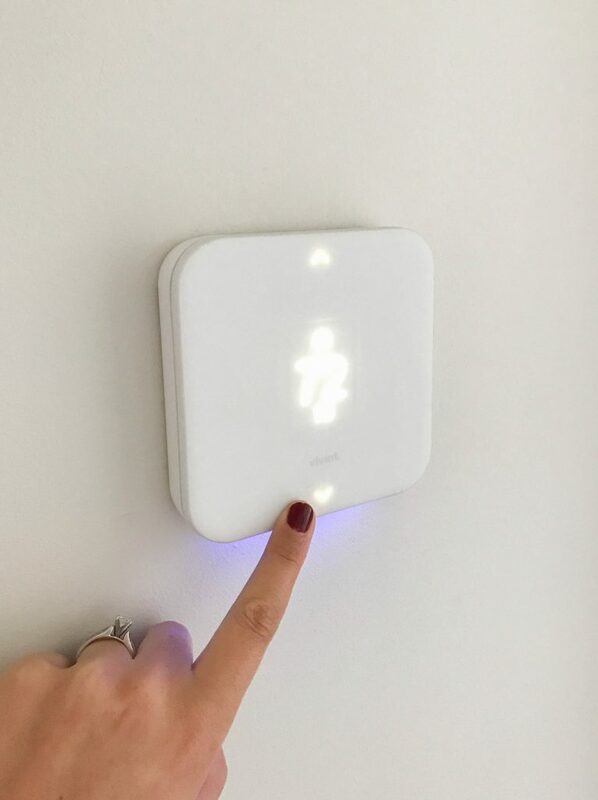 We just switched to Vivint yesterday! We got everything you mentioned except the Echo. So far my family is enjoying the high tech features for only a few dollars more than we were paying with another company. I saw a comment about the door lock battery only lasting a few weeks and that's something I wondered about. Also the video playback, I thought ours wasn't working properly. Either way it seems to be a great system! I love that the thermostat knows when you've left and when you return. This is a great giveaway! I just wish we had installed a couple days later so I would have seen the $70 discount. I would love the Ping cameras. My parents have some and it's great to be able to call the kids in for dinner or whatever. I am notorious for leaving doors unlocked, so yeah, I need help! Auto lock and unlock sounds dreamy. The ping camera looks amazing!! We have a doorbell camera, but, I like the idea of this one better. The 24/7 monitoring is much much better!!! The doorbell would be my first pick. To go along with an Echo ? The doorbell camera would be so great to have. Love it all, thanks for your the post and chance to win! This would help us, as seniors, to feel safer at home & when we are gone!!! I would love to have the ALEXA part of the smart home components. I already have a full vivint system and am just missing alexa to bring it all together. I would love the doorbell cam. Too many times my children run to the door, peek out the side window and it's a telemarketer. They all sound great but the thermostat would be the first thing in my home. It is so hard to choose! The doorbell camera would be a must have for me. My door isn't easy to see through and this would make life so much easier than obviously poking my head from a window. The doorbell camera!! Love how you can answer/check it anywhere. The part I like about the Vivint smart home is the fact that your kids can type in a password but also you can lock all your doors by saying a command. Way way cool. I would love the doorbell camera and being able to unlock the doors with a code. Everything is on my wish list for my someday home! But I especially love the doorbell camera! I would love the door lock with the keypad code! The doorbell camera would be nice. We can't hear our doorbell when we are in certain parts of our house, and we had a large package stolen from our porch. I would love the thermostat! I would love the door lock feature! I love the smart locks! I always worry about the doors being locked at night. I would love the door bell-we tried Ring and did not work right-we need vivint! The thermostat would be wonderful! Would love the indoor camera and doorbell cam! I can't pick just one! Knowing what's locked, seeing who's at the door, talking to (and spying;) on our kids, etc. etc. This system is exactly what we need. The thermostat and door locks are on my wish list. That doorbell camera would be awesome to have. I really love all of the features...it's so hard to select just one! I think the visual doorbell might be my favorite though! 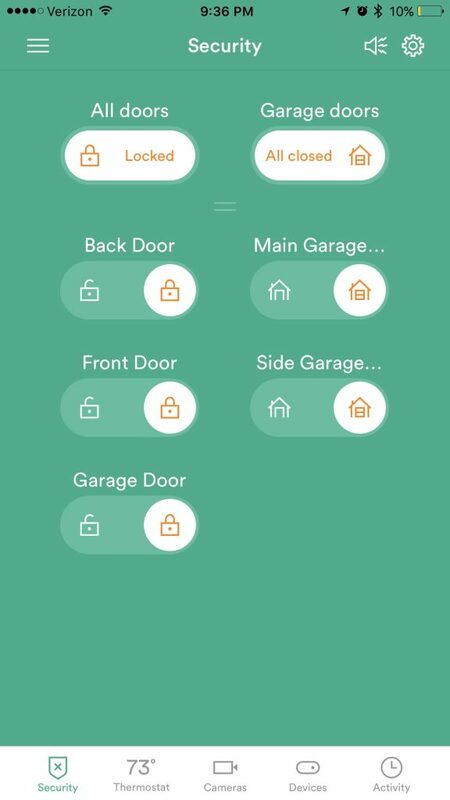 We currently use vivint for our home security and I would love to add all of those cool features, especially the thermostat control and the door/garage door lock features. 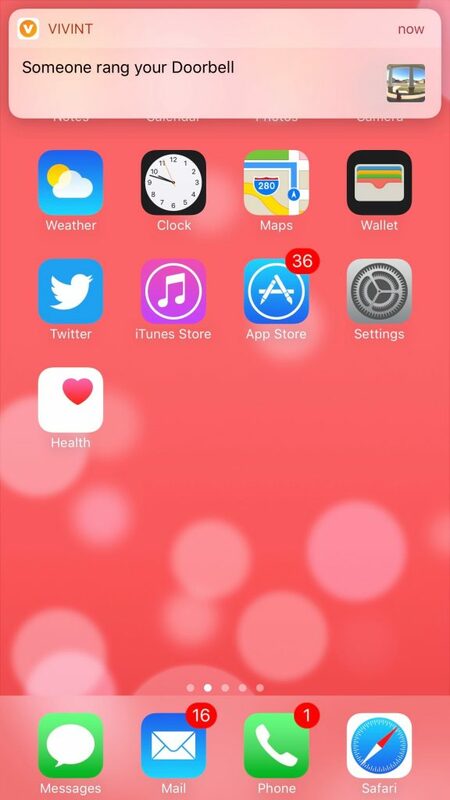 My favorite feature has to be the ability to lock/unlock from your phone! My husband is a retired firefighter, and spends much of his time fishing and being outdoors. There have been many times I haven't taken my keys and have been locked out for hours! I think I would like the auondoor locks!! The doorbell camera! We get a TON of solicitors and this would give me so much peace of mind! 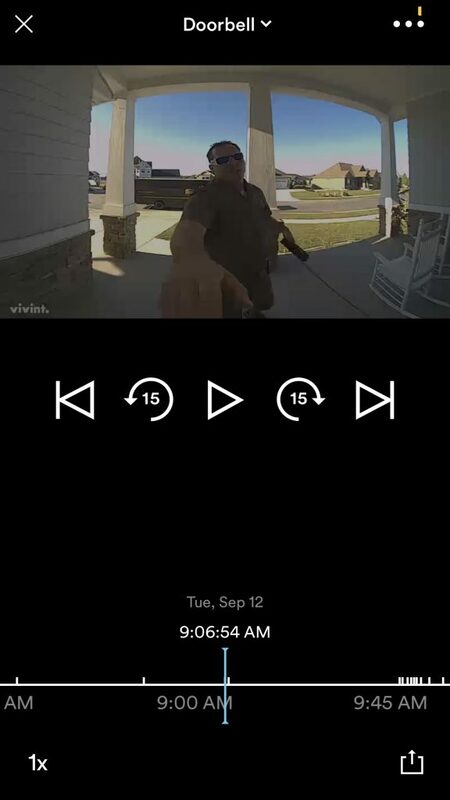 I totally want the Vivint doorbell camera! I'm in a place where things are stolen off doorsteps, all the time!! It's #1 on my wish list!! The doorbell camera feature is very nice and love the ability to control thermostat and door locks from phone. I think the ping camera would be awesome to have, especially when I'm away from home. So many features to love! But I think what I'd love most is the doorbell camera. Video doorbell! We have a gated off front yard and doorbell. This would be fantastic. I would love the doorbell camera! It's a safe way to see who's at the door and gives a feeling of security! I want to be able to control my thermostat! 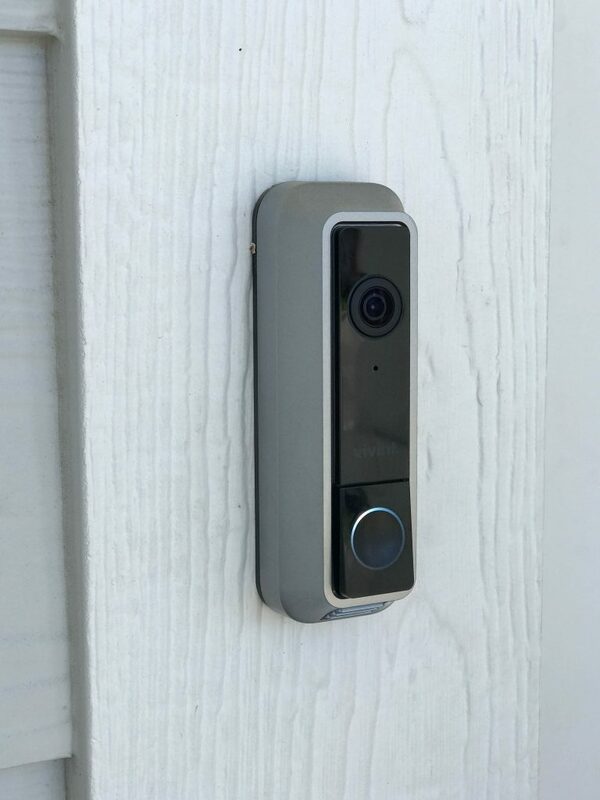 I love the doorbell camera and would really like to have that feature. I'd love to have the door bell camera! ! The doorbell camera system would amazing! I would love the feature that could help me save 30% on my electric bill! Thanks for the chance! It would be awesome to have the ability to unlock the door with my phone. We live in a rural area where the kids will sometimes ride the bus home and need a key. It would give sense of security knowing we don't have to leave a key hiding or wondering if they locked themselves in the house once they got home.